Visit LoRee's book page to find your perfect match. ​LoRee's blog offers charming and colorful descriptions of Nebraskan farm life in the 1950s & '60s. ​I was a happy child with a natural Pollyanna outlook on life, trusting those around me and always looking for good. Mom often said I laughed like a hyena. At ages eleven to twelve, my body galloped ahead of my mind. In other words, I matured early. My childhood faded into my past . . .
LoRee thanks God for her affiliation with Pelican Book Group, ...and for being part of such an amazing writing family. 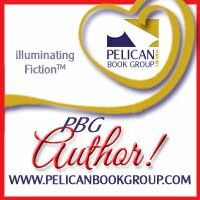 Visit her Author Page @ Pelican Book Group. ​LoRee is honored to be among the fine authors at ACFW!